Like me, Clasen has a lifelong love of horror, even though as a child he was terrified of scary stories. “I would have nightmares and would sleep with the lights on,” he admitted. That changed in his teenaged years. “What psychologists call a hedonic reversal took place,” he said. “I started feeling this weird attraction [to horror] that I couldn't really understand.” He devoured the writings of Stephen King, Edgar Allan Poe, and H.P. Lovecraft. While earning his various degrees in literature, he found a rich collection of dark gothic material in the English literature canon. Just last year, Clasen co-authored a study examining the dominant personality traits of horror fans. He and his colleagues—Ph.D. student Jens Kjeldgaard-Christiansen and personality psychologist John A. Johnson, professor emeritus at Penn State University—recruited over 1,000 North American participants via crowd-sourcing with the Amazon MTurk. They had their subjects take the standard Big Five personality test—currently the professional standard for social psychologists who study personality—and looked for correlations between those results and whether the participants did/did not like horror. “We found a positive correlation between one of those Big Five traits called openness to experience, also called intellect imagination,” Clasen said. In a more recent study, published in Poetics last month, Clasen collaborated with two of his Aarhus colleagues. All three co-authors are fascinated by the cognitive science of religion, seeking to uncover why invisible supernatural agents play such a huge role in religious belief systems around the world. Horror taps into the same impulse. Co-author Uffe Schjodt studies so-called “dysphoric rituals,” which are rituals that are psychologically or physically painful, like walking on hot coals or sticking needles in the skin. Co-author Marc Malmdorf Andersen studies different forms of play, while Clasen has a hypothesis that, for many people, horror is a form of play. 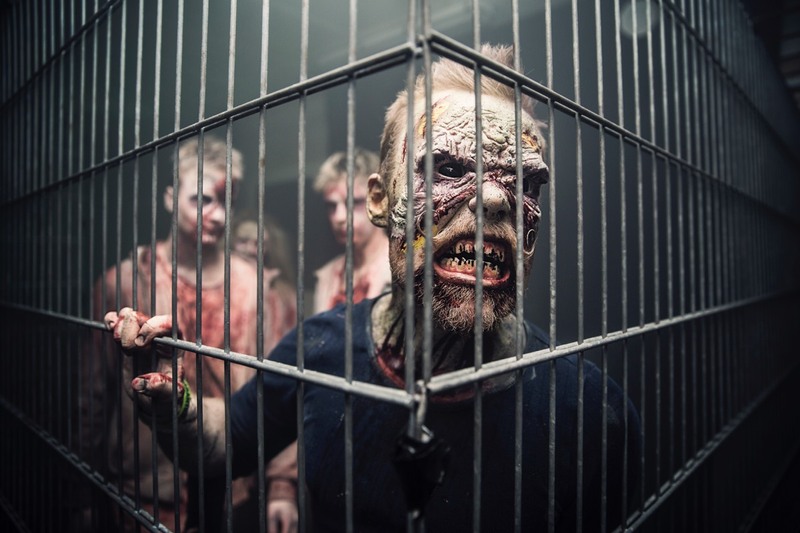 For their study, the Aarhus team took advantage of the annual Dystopia haunted house in Velje, Denmark, housed in an old fish factory and run by a group of horror enthusiasts, with as many as 300 volunteers pitching in for the entire month of October. In many ways, a haunted house is the perfect laboratory simulation. “We can't invite people to the lab, hide behind a cover, then jump out and yell, ‘Boo! '” said Clasen. It's unethical, for starters, but also less immersive. And it turns out that immersion is pretty key to generating fear. The team asked people attending the haunted house if they would participate in the study; in the end, there were 280 participants. Those who agreed had to choose which coping strategy to employ: try to maximize their fear or minimize it. (The paper describes the two groups as “adrenaline junkies” and “white-knucklers,” respectively.) Clasen et al. found that satisfaction levels were roughly similar in both groups, regardless of whether participants chose to lean into their fear or try to tamp it down. Clasen and his collaborators are still analyzing tons of data from a follow-up study collected in 2017, where they strapped heart-rate monitors onto the participants and outfitted several of the haunted-house rooms with infrared cameras. That way they could measure heart rates and also track posture and facial expressions. “The hypothesis is that there's a sweet spot between too much fear and not enough fear, between predictability and unpredictability, where you feel you have a certain amount of control over the situation, but there's still a degree of unpredictability,” said Clasen. A third study still in progress will examine the relationship between fear and memory. Enlarge / “Scare actors” in zombie makeup exhibit cues of hostility and contagion. Granted, not everyone appreciates the genre. 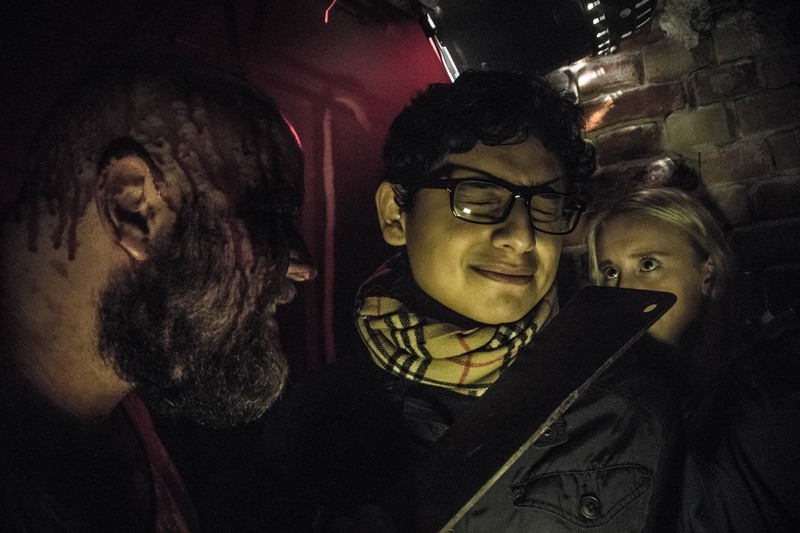 “Lots of people, when you say the word ‘horror,' hear sh**ty slasher films from the 1980s,” said Clasen. “But horror is so much more than jump scares. [The best horror] gives us psychological, social, or moral insight into the extremes of human experience. It's psychologically realistic, no matter how outlandish the monsters are.” Hence his love for King's novels and Lovecraft, as well as the recent Netflix adaptation of Shirley Jackson's Haunting of Hill House. “Lovecraft said, ‘Fear is the oldest and strongest emotion.' I think that's true,” said Clasen. “We know that the fear system is one we share with a vast range of animals. It's ancient, buried deep within the brain, the structures that produce fear.” We all know what it feels like to be afraid, and we share many of the same fears. Authors like King and Lovecraft and filmmakers like John Carpenter take that to the next level and turn it into art. 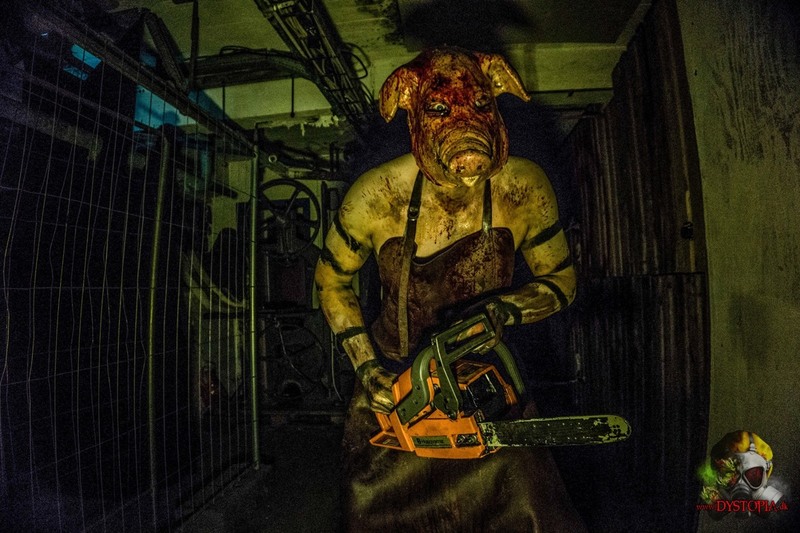 “They have an extra well-developed sense not only of how to scare people but how to make people invest emotionally and enjoy being scared,” he said. As for the emergence of horror/comedy mashups, like Scream(1996), Cabin in the Woods (2012), or Shaun of the Dead (2014), to name a few, that might be tied to the notion of horror as a sense of play. “I think those kinds of intelligent engagement with genre conventions are a way of providing a playful experience,” said Clasen. He sees horror as experiencing something of a renaissance in recent years, prompting a cultural reevaluation of the genre. Perhaps the horror comic subtype is a byproduct of that reevaluation. “I think [horror] is becoming much more recognized as an artistically interesting genre,” he said. DOI: Poetics, 2019. 10.1016/j.poetic.2019.01.002 (About DOIs).